The trust seek to commemorate his life by giving talks, lectures and tightrope events. maintain Blondin’s grave and monument. 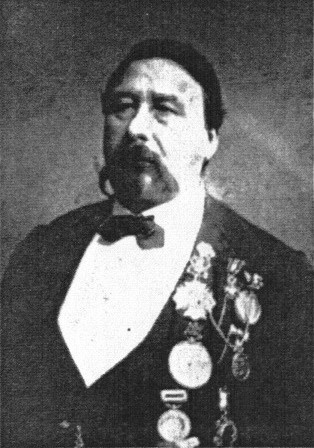 Born Jean François Gravelet on 28 February 1824 in Hesdin, France. “Funambulus” comes from the ancient Greek: from funis, a rope, and ambulare, to walk. 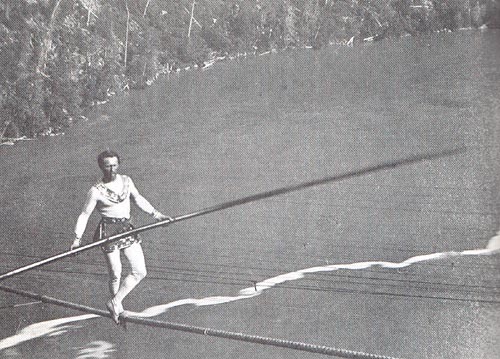 Blondin learnt to walk a tightrope from a very early age. He crossed it blindfolded, pushing a wheelbarrow; once he carried a stove, stopped half way across and cooked himself an omelette and on another time he crossed on stilts. In August 1859 he crossed the gorge with his manager Harry Colcord on his back. According to legend Colcord claimed that the trip was truly terrifying with broken guy ropes causing the rope to swing violently and Colcord had to dismount half way across. In 1860 the Prince of Wales watched Blondin cross Niagara Gorge. He was asked if he would like to be carried on Blondin’s back for the return journey. He refused. He died on 22nd February 1897, having married three times, and is buried in Kensal Green Cemetery, London, England. 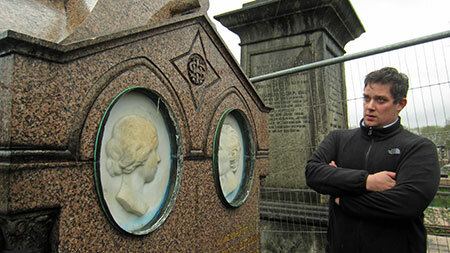 The members of the Trust meet once a year at Blondin’s Grave in Kensal Green Cemetery to honour his memory with a Toast. All who are interested are cordially invited to attend. maintenance of Blondin’s grave and monument. renovate the tomb of Blondin. 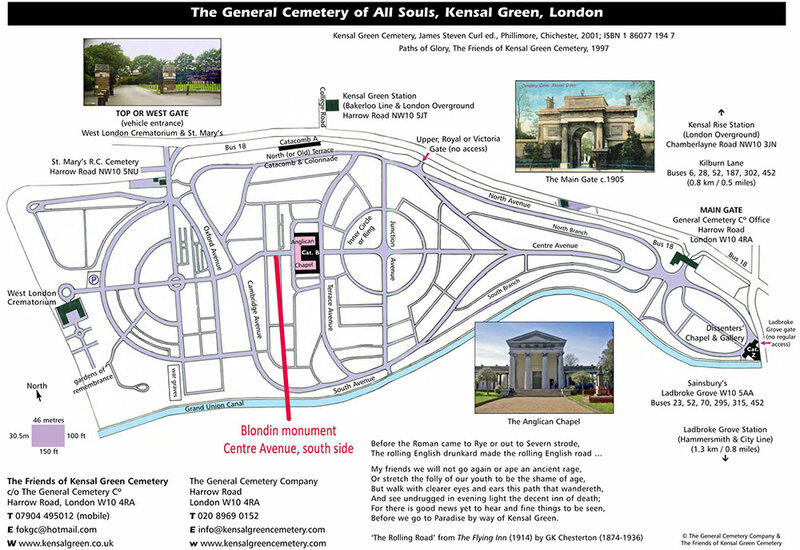 Saturday, 23rd February, 2019, 2.00 p.m.
Map of Kensal Green Cemetery (please click for larger version). Nearest Tube Station: Kensal Green. Please join with no fee if you support our aims. 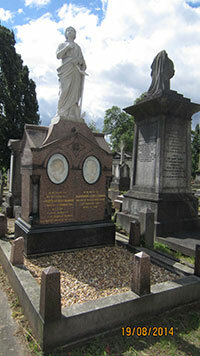 Donations are appreciated to upkeep the Kensal Green grave. Kensal Green Cemetery was the first public Cemetery in London and was established in 1827 in a 70 acre site with separate Chapels for Anglicans and Dissenters. Blondin Orchard, in Ealing, West London, covers around a fifth of a 2-hectare allotment that has been owned by the London Borough of Ealing since 1926. Before that it was part of a local family farm estate and from 1750-1834 formed part of the Brentford Nursery, which specialised in fruit trees and held more than 300 apple varieties. The whole area is named after the Frenchman Charles Blondin, Niagara Falls tightrope walker, who settled here upon retirement. His feats (and a couple of apple varieties) are celebrated in local road names. ‘Blondins’ were a type of aerial ropeway named after the famous tightrope walker “Blondin”. They were employed in open pits in the slate quarries in Wales to transport wagons loads of rock between locations.